Laura Hillenbrand wrote a book about Louie Zamperini, American athlete who participated on 1936 Berlin Olympics and lost his opportunity to run again because of WW2. In the war, he survived a plane crash and imprisonment in Japanese concentration camp. Story worth filming, powerful story which deserved much better attempt than this one. Everything is broken in “Unbroken”. I don’t know where to start. It’s one of those films that would’ve been a masterpiece if it was done in the sixties but it’s made totally wrong, with too much pathos and incoherence for 21 century. Angelina Jolie was pleasant surprise, she approached the movie with good intentions and in the first half of it she did a decent job. Scenes of Olympics were very well inter-cut with scenes of war, and even the stranded survivors in the sea scenes were done well. From time to time I had a feeling that tiger will come out from the sea, and then I reminded myself that it’s not “Life of Pi” I’m watching, and it’s not “Kon-Tiki” either. One character was pure cliché at that point but film was satisfying and it fulfilled my expectations. To that point, that is. After Japanese entered the story, as characters not just as “enemies,” film started to lose any sense and ground under its feet. Characters were even more black & white and some scenes were just comical. When I added such scenes to the fact that the facial hair of the characters was carefully trimmed, and that they all had very stylish hair-cuts film was just poorly made. 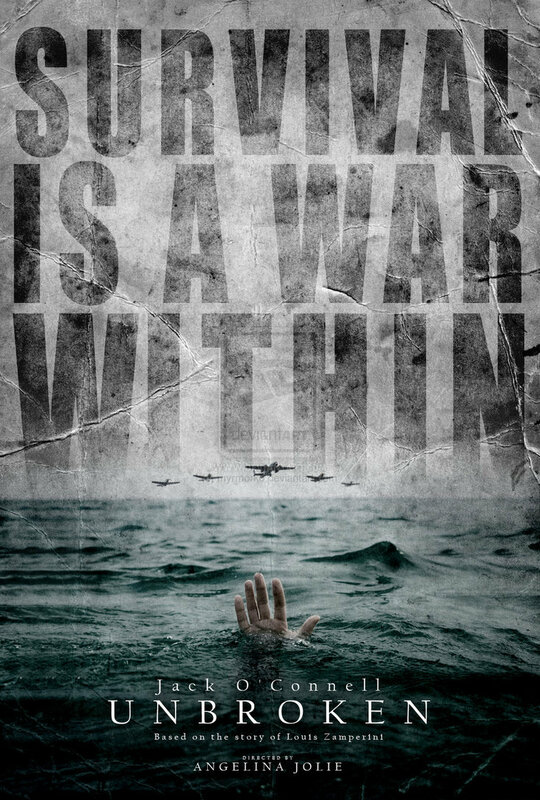 Cinematography was brilliant, direction better than expected, but story had more holes in it than the boat in which Japanese had found our characters. DON’T EXAGGARATE! DON’T TRY TO MAKE THEM BIGGER THAN THEY ARE. THEY ARE ALREADY BIG ENOUGH!! THEY ARE ALREADY WORTH OF ALL OUR ADMIRATION. Unfortunately, some people never learn. Hollywood, in some cases, never learn. Louie Zamperini deserved all our respect and admiration. However, in this movie I had to fight through all the make-up and pathos to get to the point. That’s a shame. It could’ve been great. Acting… Was there any good acting at all? For me in this film it’s hard to find. Yes, Jack O’Connell and Takamasa Ishihara had their moments, but I had a feeling that Jack really don’t know when to be “Rocky”, when “Forrest” and when “Papillon”. Hell, he was completely lost in the film and his acting was really an overacting. He tried, intentions were there but he was not convincing in the end. That’s maybe the biggest failure of Angelina Jolie as a director in this film. O’Connell is a solid actor but she tried to make the character into something he wasn’t, and she failed completely. Ishihara, on the other hand, should think about applying in Marvel Studios for the role of some villain in their universe. He was comic-book character as his acting was such. I had to remind myself that I’m, in fact, watching period war/drama and not some Phoenix like comic-book movie. Only really good, brilliant thing in “Unbroken” is cinematography. Roger Deakins made a wonderful job in art photography and some frames look like you could use them as a wallpaper. That is the only reason I can think of to recommend this to anyone. Disappointment on so many levels. 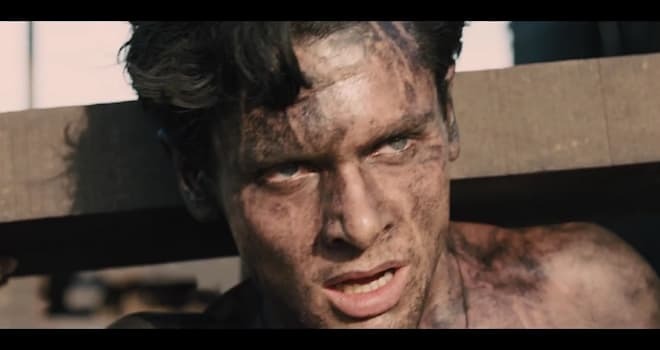 In spite of cinematography, everything was broken in “Unbroken”. It’s too long for a screensaver and too cliché to be a good movie. Previous Post Who is exactly vulture in “Nightcrawler” (2014)?